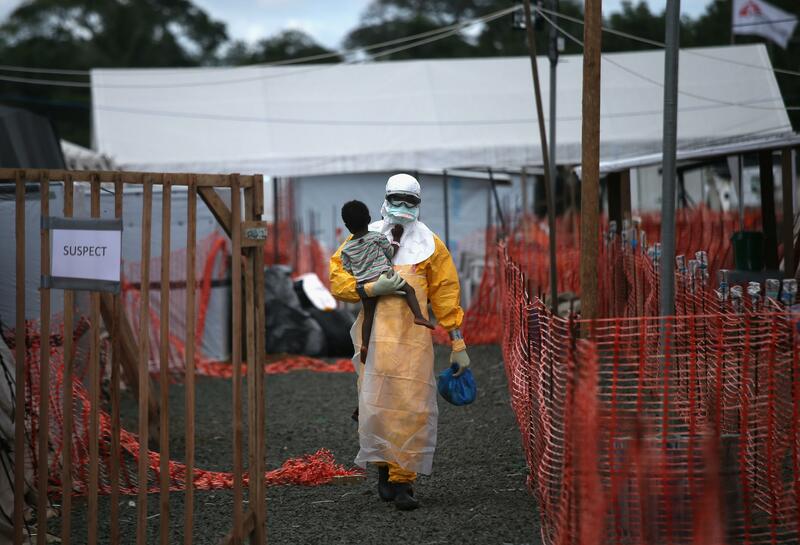 American contracts Ebola will fly to NIH from Sierra Leone. A Doctors Without Borders (MSF) health worker in Liberia. While the battle against Ebola in West Africa is headed in the right direction with transmissions falling drastically of late, the fight to eliminate the deadly virus is not yet over. On Thursday, Americans got a reminder of the unfinished business that remains, when an American health worker was infected with the virus in Sierra Leone. Another British health care worker was also infected. The American worker, who has not been identified, has been volunteering at an Ebola treatment center in Sierra Leone and will be isolated and transported to the U.S. for treatment. Officials tell ABC News that the worker will be taken to the National Institutes of Health and admitted as early as Friday. The patient will be the 11th person treated for Ebola in the U.S. and the second to go to NIH for care.